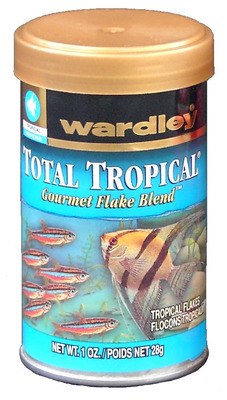 Wardley Total Tropical is the ultimate freshwater flake food for tropical fish. The formula uses essential complement of nutrients to help protect your fish from environmental stress. Contains natural attractants that entice even the most finicky freshwater fish to feed. Blended from nutritious natural ingredients for improved health and vitality. Fortified with a stabilised form of Vitamin C which is vital for the repair of body tissue and maintenance of disease resistance.